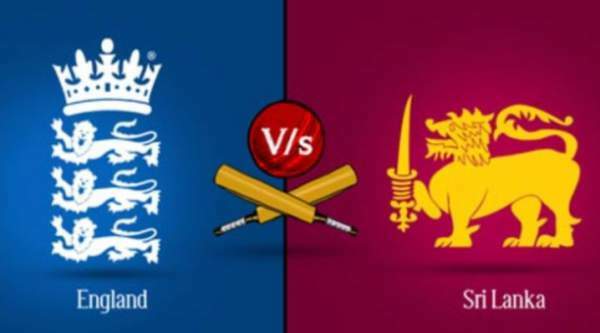 ENG vs SL 1st ODI is scheduled to start at 1:30 pm BST (6 pm IST). The UK audience will be able to catch the live telecast on Sky Sports 2 and Sky Sports 2 HD. They will have the option to watch it online via live streaming by going to the official website of the SkySports. The English cricket team will start their summer journey with this series against Sri Lankans. They are now going to play in the limited overs after the test matches. They must be filled with confidence and full of energy as they reached the final of World T20 2016. The English captain Eoin Morgan has a team full of talent and an incredible lineup comprising of different players with different strengths. The three particular names which need a mention are Joe Root, Ben Stokes, and Jos Battler. They will be the key players for the English cricket team in the coming matches. Each of them has the strength to make their team win. Each of them has the strength to make their team win. However, they haven’t been consistent so far. And from the last summer, the team has won 10 ODIs while lost 9. In some wins, they have won the entire series like against New Zealand and Pakistan. These are some of the brightest times in their history. The all-rounder Stokes hasn’t received any clean chit of becoming fit once again. So, it means that Chris Woakes will get to play in the upcoming matches after delivering a solid performance in the Test series. Jos Buttler may become the wicketkeeper-batsman. This year, Sri Lanka showcased their potential by thrashing Ireland badly. Srilanka won the series by 2-0. It was their first series win in 2016. SL has a number of robust and talented young players like of opener Kunal Perera, who scored a total of Rs. 135 runs. Apart from him, Seekkuge Prasanna nad Danushka Gunthilaa would be asked to make significant contributions. The SL captain Angelo Mathews is in the same good form. The skipper has now to bring someone in place of its seamer Shaminda Eranga. ICC banned Eranga over the issue of illegal bowling action. So, now they need another seamer with the similar capabilities. England is expected to win. Squad: Eoin Morgan (C), Moeen Ali, Johnny Bairstow, Jos Buttler (WK), Steven Finn, Alex Hales, Chris Jordan, Liam Plunkett, Adil Rashid, Joe Root, Jason Roy, James Vince, David Willey, Chris Woakes. Squad: Angelo Mathews (C), Dinesh Chandimal (WK), Dhananjaya de Silva, Nuwan Pradeep, Danushka Gunathilaka, Suraj Randiv, Suranga Lakmal, Farveez Maharoof, Kusal Mendis, Kusal Perera, Seekkuge Prasanna, Dasun Shanaka, Upul Tharanga, Lahiru Thirimanne. Stay tuned for latest cricket news and updates.